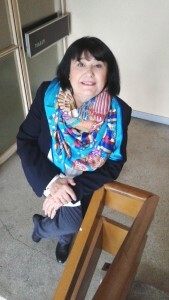 Cleopatra Lorintiu is a writer, poet, journalist, columnist, publisher, producer, TV director, distinguish reporter, former diplomat. 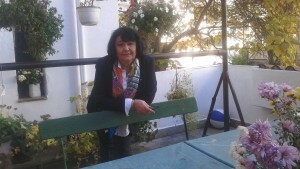 Cleopatra Lorintiu,Paris 2006.Photo by Bernard Brumberg. 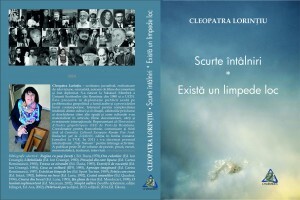 Cleopatra Lorintiu appears to the public under several facets. 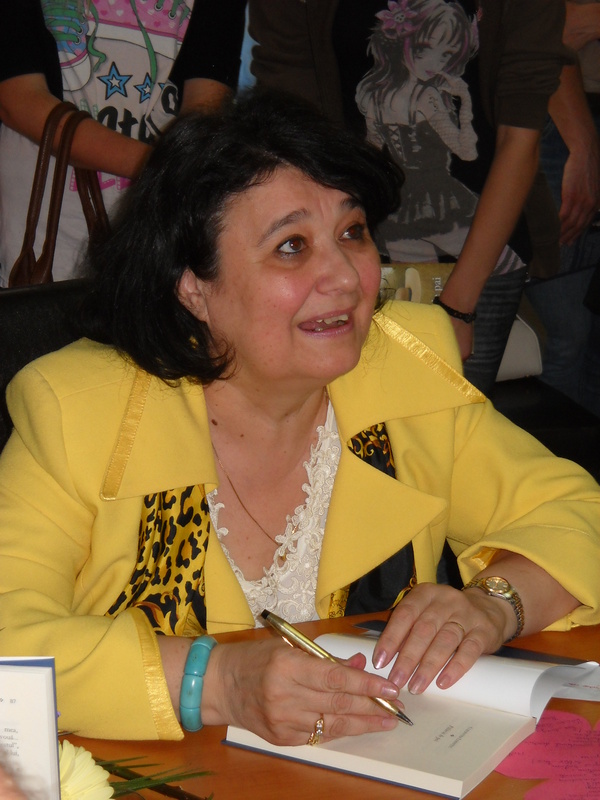 She is a Romanian writer, poet, journalist, TV producer, reporter, columnist and she was also in the others domains like the diplomacy, editions, public relations and non governmental topics. 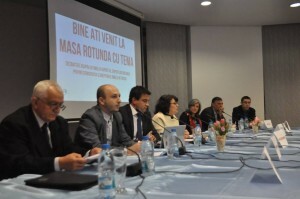 It is a common denominator her atypical itinerary and also a strong respect of principles ideals and convictions. 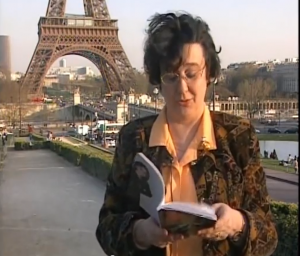 Cleopatra Lorintiu, Paris, 2003.Screen capture from a TV movie. 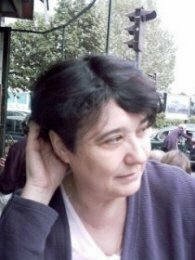 She published books of poems, novels, short stories, interviews, travel impressions and literature for children.She has published verses, short stories, novels, essays, articles in almost all the prominent news papers and magazines for 30 years in Romania. Fixed columns of theatrical, literature, television chronicle, cultural essays and literature for children. 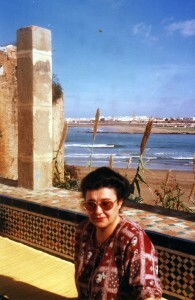 Some poems and short stories were published in French, German, Russian, Arabic, and English. 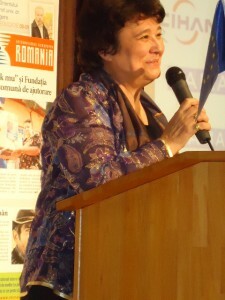 In her artistic documentaries for TV or radio broadcast , on subjects of big interests or unusual issues, in the TV broadcasts for the Romanians abroad, produced and realized as free lancer and producer of a weekly broadcast for thenative Romanians in Chicago, USA, for the Romanian public Channels TVR1, TVR2, TVR I , in her reportages or sketches of atmosphere, portraits of the personalities or literary reports, Cleopatra Lorintiu strewed metaphors , poetic or playful senses, an humanist message and the trust in the long-lasting cultural values. 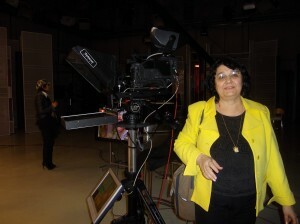 She has realized reportages, documentaries and commentaries for the in different countries like. Canada, Italy, China, Thailand, USA, EAU, Greece, Morocco, France, Poland, Hungary, Austria, Belgium, Venezuela, Czech Republic , Moldova. 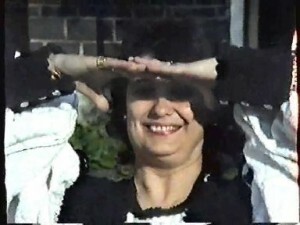 Gradually she moved closer to other genres and invisible boundaries and often unclear, who attracted. 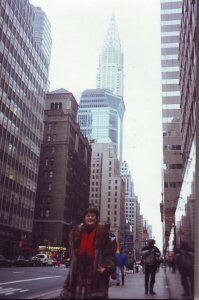 During her youth she has written extensively on childhood and children’s readers: the compass was turned towards the world of wonderment and discovery of feelings. The tales, stories published in magazines, in books, staged in theater performances on radio or chosen by the authors of textbooks often remained in the memory of young readers. On one account to another scum of course the small kingdom of childhood, with his questions, his unspoken things, his overtures to the world. It’s time to prose that begins: news, stories and novels, even the circumstances are not always favorable. 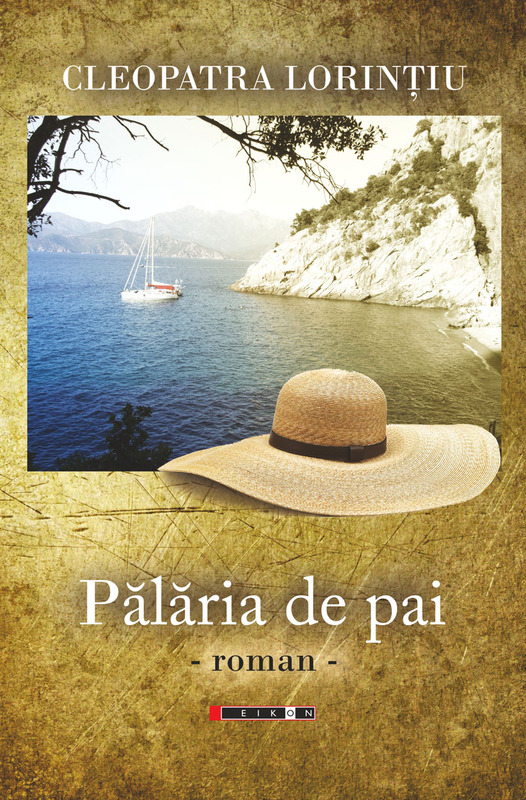 The novel “Abandon”, written and redone four times during the 80’s, under the gaze of the pitiless censors of the day did was never published, are included under the new title “Some one in the past” and other waiting in the drawers they are published. 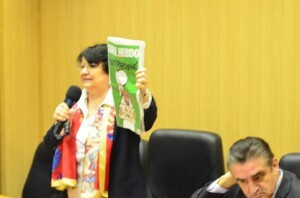 Journalism is still coming soon to the public: the interviews and confessions,literature memories. The straw hat, novel, Eikon Edition 2013, another edition 2014. 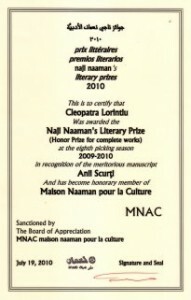 In May 2010 : Cleopatra Lorintiu : Honorary Award (for complete works) Naji Naaman. Cleopatra Lorintiu, Library George Cosbuc ,Bistrita, spring 2013.Book signing. 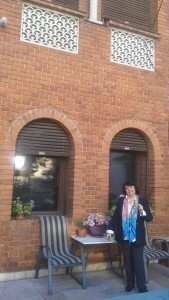 Director of hundreds artistic documentary films. 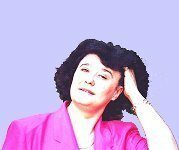 She was free lancer in Chicago for TV ethnic Chanel (1992-1994 )and producer in National Broadcast (1994-2002( and (2007-2016). 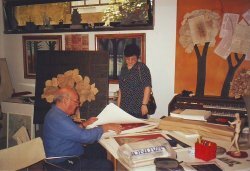 .In 2002 the film about the poetry of Odysseas Elytis was diffused during “The international meeting for women and peace made by Pact of Stability in Thessaloníki”, Greece. .In 2004 the film “Hobita, a state of heart” on the life of Constantin Brancusi, was diffused during the festivals of the University of Nantes” France and by Poland National Broadcast. She realized documentary about the personalities of the artistic life as liriques artists Mariana Nicolesco, Marina Krilovici,about sculptors and painters like Ion Vlasiu,Ion Sălişteanu, Gabriela Manole Adoc, Elena Boariu about writers like Stefan Augustin Doinas,Romulus Vulcănescu,Gheorghe Tomozei,Tudor Opriş.The meeting with personalitees of contemporary history like Manole Filitti or the princess Alexandra Caragea,the famous botanist Ovidiu Bojor , the conductor of Wien Orcherster Gert Hoffbauer , the italian artist Gribaudo or the photographer Eddy Novarro have been the point of departure for movies or pages written. Friendship. 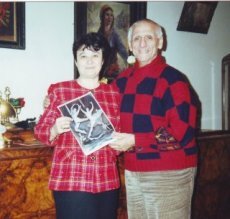 Cleopatra Lorintiu and Gabriel Popescu, big star of the ballet, great choreograph. 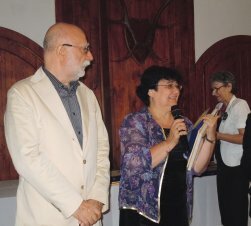 In July 2011 she received the Special Jury Prize in the Festival for the documentaries DOCUMENT.ART.XV The 15-th International Festival of Film on Art,Ecology and Tourism July 18-21 Campulung Muscel for the movie ‘The Letters from beginners” dedicated to the teacher and writer Tudor Opris. In 2012 AWARD for cinematographic portrait:“Benjamin Fondane, our Tragic Ulysses”. 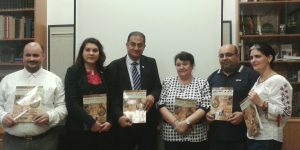 Cleopatra Lorintiu received awards at the International Documentary Festival DokArt film. At the fragile border between journalism and literature, she began a series of portraits, testimonials on one time on people who have given value to their lives, people who have established themselves in the collective mind as the values and examples. 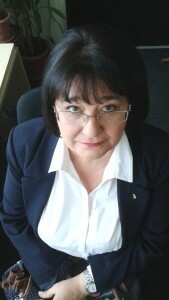 Her interest for non governmental topics in the modern society, for international policy and geostrategic issues, for the public relations and the four years like diplomat in Paris (2002-2006), complete an itinerary still dynamic. She heads The Francophonie Departement and the Communications and CCERPA Think Tank and Chief editor of the Magazine “Romanian/Arabic Cultural Horizon , publishd in 26 May 2016.
or The Freedom of Media ( 2015) University of Journalism, Hyperion.Bucharest. 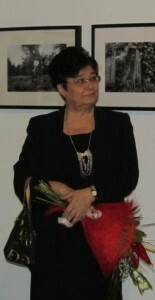 Cleopatra Lorintiu, meeting in Bistrita, House of Culture, march 2013. The short years, here they have come The old meanings unfolded by themselves All that strength in vane. The meaning I had lost The false meaning, disbanded The frail heart. Reality, how queer The compact cold. And the memory, stripes, stripes. Feathers flying from an old pillow. Take a step and you ram The unseen wall. You reach out with our hand and recover it bloodstained. 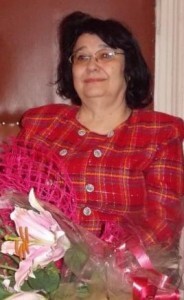 Cleopatra Lorintiu, October 2015 .Bucharest . 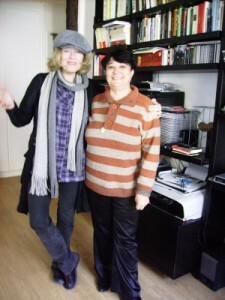 Between 2006 and 2010 she was married to the French photographer Bernard Brumberg (1952-2014) www.brumberg.org.The premature death of Bernard Brumberg (Bucharest, March 1, 2014) following a severe illness, leaving a immense sorrow in her heart.